1. Heat the pan,pour oil and add Bengal gram dal,red chilly,garlic and ginger. 2. Then add sliced onion and fry till it becomes golden brown. 3. Add chopped tomatoes and fry till it becomes mushy. 4. Allow it to cool and grind it. 5. 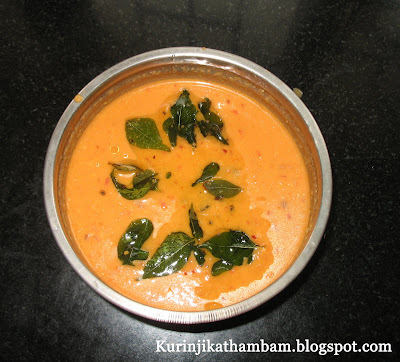 Heat the pan, pour gingely oil, add mustard seeds.When the seeds pops, add curry leaves. Hint : Ginger chutney goes well with Dosas. LPG gas cylinder's expiry date....! !